Adams Ogale, then a 19 years old man got paralyzed from neck down while playing football at the beach and injured his spinal cord in Vancouver three years ago. He was a 2nd year international student studying Business Administration. Today at age 23, Adams is fighting to get his permanent residence that will enable him have continuous access to medical facilities. Anything short of this for Adams is signing a death certificate for him. Please sign this petition to get immigration Canada to allow him stay in Canada on humanitarian grounds. 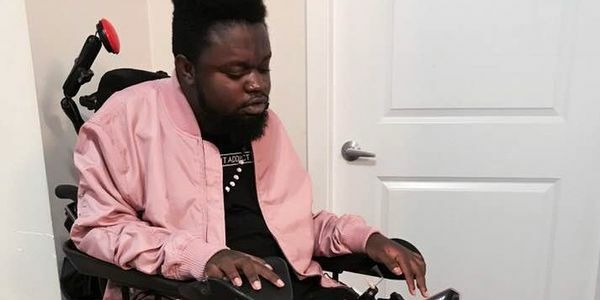 He is a stylist whose brand sold out last year despite being on the wheelchair. Please sign the petition. Please give Adams a new lease of life.